I am planning to create two forms for my customers. lets say its Form A & Form B. So what I want is when user submits Form A, the email should go out to the user asking to fill out the Form B.
this is possible by creating an "Autresponder email" and editing its layout , in order to include something like: "Please fill this form: Link to Form B" in it body. 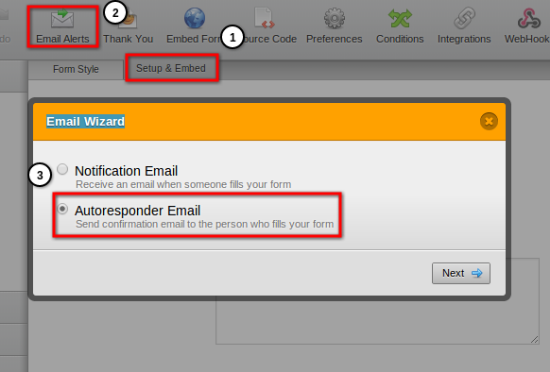 Fill follow next steps to create an "Autoresponder Email" and how to add the link to the second form to its body. 2 - Click on "Email Alerts" icon, Select add new email. 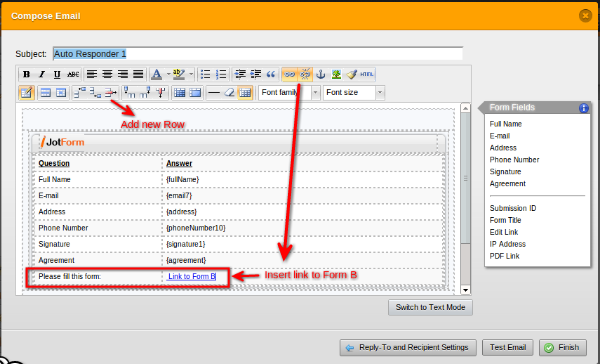 5 - Edit your autoresponder layout in order to iinclude the link to FORM B. Thank you so much for you reply. Can this Auto Responder be sent out to the customer who actually submitted the form A? 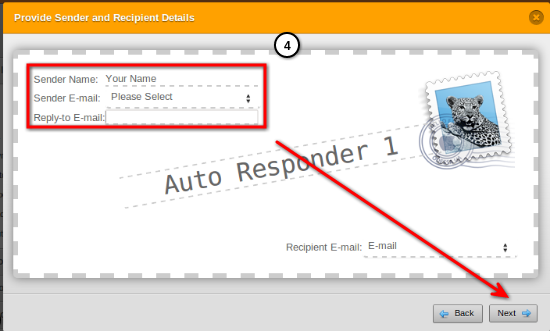 Correct, the auto-respond option guilledutra spoke of, will send a confirmation email to the user that responded Form A. You can edit that auto-respond email to contain a link to Form B. If you need additional help, do let us know. Thank you for using JotForm.